Chronically Me: Flushing Out My Life And Times – AMAZON KINDLE SELECT FREE GIVEAWAY MARCH 2ND AND 3RD 2015!!!! DON’T FORGET TO DOWNLOAD YOUR FREE KINDLE COPY OF CHRONICALLY ME ON MARCH 2ND AND 3RD!!! This entry was posted in IBS by me. Bookmark the permalink. This is the perfect website for anybody who wants to fihd out about this topic. with you (not tuat I actually would want to…HaHa). You definitely put a new spin on a subject that has ben discussed for decades. Thank you for your kind words… I really appreciate it. 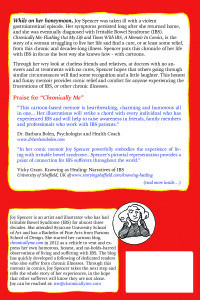 If you’d like to read my book on Kindle (more cartoons in there! 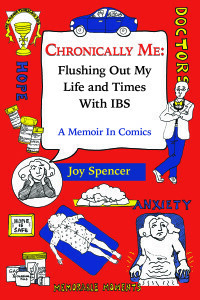 ), there will be another 3 day free giveaway on Amazon March 25th to 27th: http://www.amazon.com/Chronically-Me-Flushing-Memoir-Comics/dp/1500965456/ .